Antrim’s 31-year-old Allen came from 4-3 down to win seven of the last ten frames at Alexandra Palace, before receiving the Paul Hunter Trophy and a career-biggest cheque of £200,000. 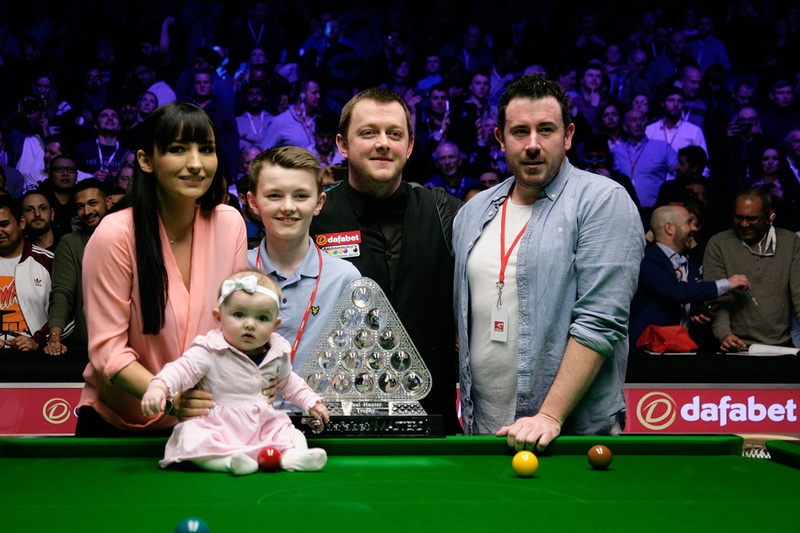 There were emotional scenes at the end of the match, with Wilson in tears as he reflected on defeat, and Allen embraced by his father Ronnie, wife Kyla, stepson Robbie and baby daughter Harleigh. World number eight Allen was the man of the week in London as he knocked out Luca Brecel, Ronnie O’Sullivan and John Higgins to reach the final. And though he only showed glimpses of the same form today, he did enough to win his tenth career title and first since the 2016 Players Championship. Since his junior days, Allen has been touted as the best Northern Irish player since the days of Alex Higgins and Dennis Taylor, and he has now emulated those two greats by winning snooker’s biggest invitation tournament. He struggled with his game for much of last season, after splitting with coach Terry Griffiths, but Allen made changes to his cue action at the start of the current campaign and has worked hard on the practice table to bed in his improved technique. He is now enjoying the fruits of that labour and savouring his finest hour. 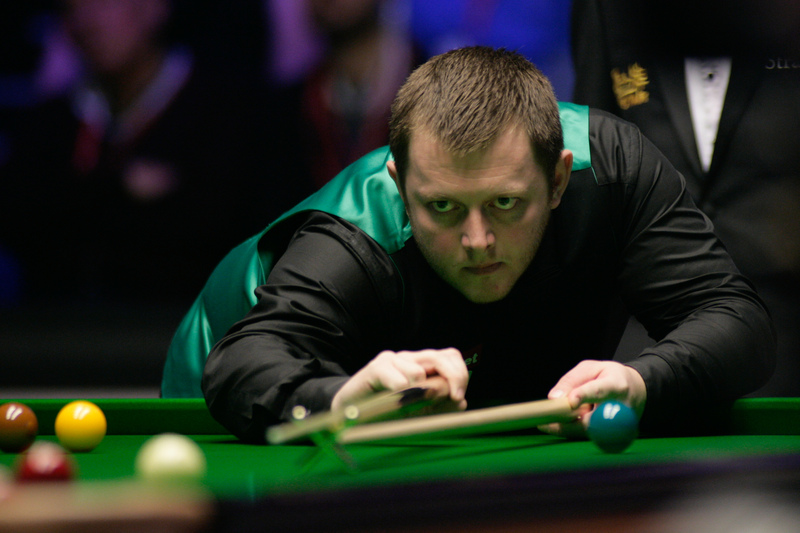 Allen had played in only one Triple Crown final before, losing 10-8 to Judd Trump at the 2011 UK Championship. He becomes the first player other than Ronnie O’Sullivan or Mark Selby to win a Triple Crown event since 2015. He is also sure of a place in the Champion of Champions later this year. Kettering’s 26-year-old Wilson also won his biggest ever cheque as the £90,000 runner-up prize eclipses the £85,000 he won for capturing the 2015 Shanghai Masters, his only pro title. He has now lost three finals this season, having been beaten by Ronnie O’Sullivan at the English Open and Ding Junhui at the Yushan World Open. World number 14 Wilson will surely reflect on crucial chances he missed in the first session when he could have established a substantial lead. The first frame of the evening session lasted 40 minutes and came down to the colours. Wilson played a weak safety on the brown, allowing Allen to pot brown and blue to take a 5-4 lead. In frame ten, Allen led 23-8 when he missed a tricky green to a baulk corner, and his opponent punished him with a break of 84 to level the contest. 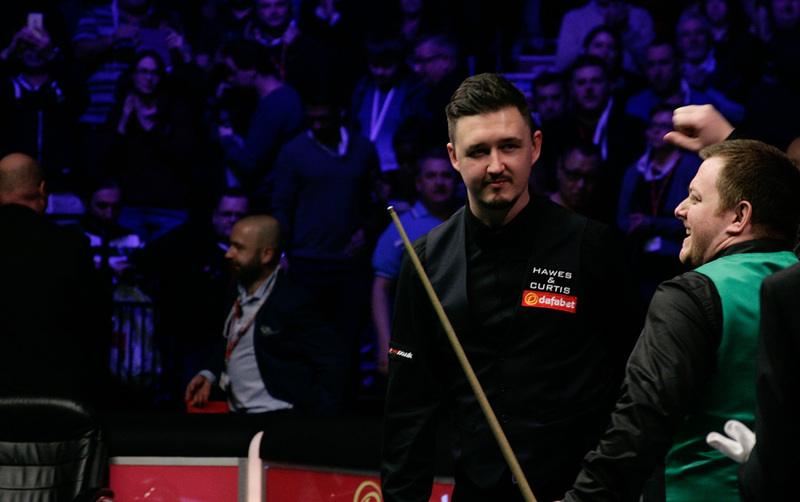 Allen then stepped up a gear with breaks of 73 and 119 – the 28th century of the tournament – to lead 7-5 at the interval. In frame 13 he made 34 before running out of position, then Wilson had a scoring chance but potted just one red before missing the black with the rest. Allen’s 50 put him three frames in front. Wilson, who had never won a match in the Masters before this week, stemmed the tide with a break of 73 to pull back to 8-6. In the 15th, Allen made 49 before missing a tough red to a centre pocket. Wilson replied with 47 to take it to a safety battle on the last red, then took advantage of a missed pot from Allen to clear to the pink and reduce the gap to a single frame. Allen bounced back impressively with a break of 69 to go two up with three to play at 9-7. And a few minutes later the match was over as Allen’s run of 71 gave him the title. “It is surreal,” said Allen, who was making his tenth consecutive Masters appearance but had never previously reached the final. “It has been a long time coming. I was never sure it was going to come to be honest, I have knocked on the door for so long but now I can say I have won a Triple Crown title. 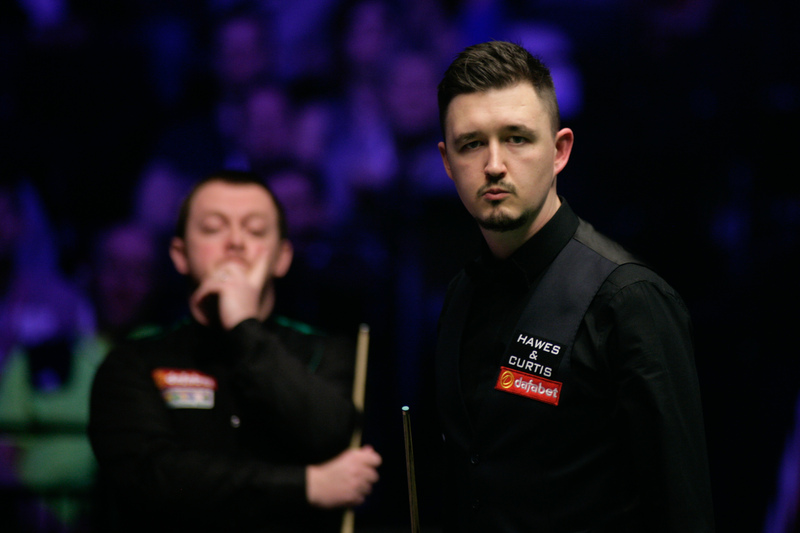 “What a competitor Kyren Wilson is. He is the nicest guy you could meet and he has a great family with him too. I know what it is like to sit in that seat after losing a major final, I lost to Judd in the 2011 UK, but how far has he come in the last two years? Wilson said: “I am devastated. You can’t mistakes against a player of his class. I just made things a little bit too easy for him, I kept putting him in the balls and you can’t so that against him. Tickets for the 2019 Dafabet Masters (January 13-20) go on sale on Monday at 10am – for details click here.